Try your hand at being a caddy at Bushwood Country Club (Caddyshack) with our officially licensed Caddyshack t-shirts and gifts. Have fun dealing with rude, rich snobby people and a gopher who has it out to make your life a living hell. 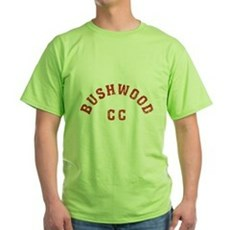 We've got an awesome collection of Caddyshack Bushwood T-Shirt, shirts, hoodies, gifts and more. We specialize in Caddyshack Bushwood T-Shirt tees and many more funny, vintage and retro t-shirts. Featuring original and classic Movie T-Shirts, Movie Quote Shirts and TV T-Shirts you won't find anywhere else. All orders come with a 30 day money-back guarantee and most ship within 24 hours.